World Championship leader Marc Marquez (Repsol Honda Team) took his fourth consecutive pole, and eighth pole position of the season, with a new lap record at the Sepang International Circuit on Saturday. 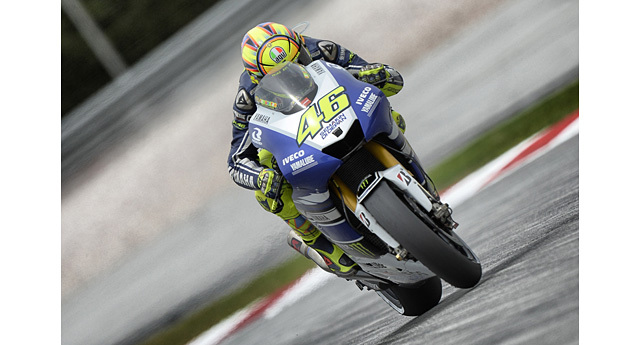 Multiple Sepang winner Valentino Rossi lines up second from Britain’s Cal Crutchlow, with title contenders Jorge Lorenzo and Dani Pedrosa on the second row of the grid. Yamaha Factory Racing Team’s Valentino Rossi. Rain fell on part of the circuit just before the start of the session, but slick tyres were used throughout. Having crashed out in dramatic fashion at MotorLand Aragon, it was Pedrosa who topped the first three practice sessions at the Sepang International Circuit. However, when it came to qualifying the 2012 race winner was unable to muster anything other than fifth place, six tenths of a second down on Marquez’s 2’00.011 pole which establishes a new qualifying record for the venue. In a repeat of the German GP front row, albeit with the second and third-placed riders reversed, Rossi and Crutchlow will start second and third for their respective Yamaha Factory Racing and Monster Yamaha Tech3 outfits. In the case of the nine-time champion, he provisionally held pole position after enjoying a slipstream from Ducati Team’s Andrea Dovizioso down the back straight, whereas Crutchlow celebrates a first front row start since his home race at Silverstone last month. Cal Crutchlow will be looking for a spot on the podium in tomorrow’s race. 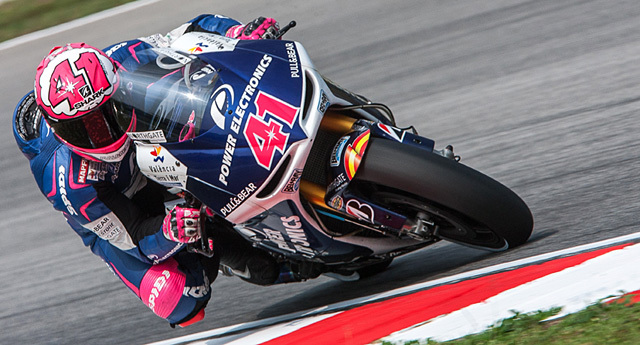 Lorenzo (Yamaha Factory Racing), who won his first MotoGP title at Sepang in 2010, will start fourth after missing out on pole by half a second. Behind the reigning World Champion, Marquez’s team-mate Pedrosa missed the front row despite his rapid pace throughout practice. 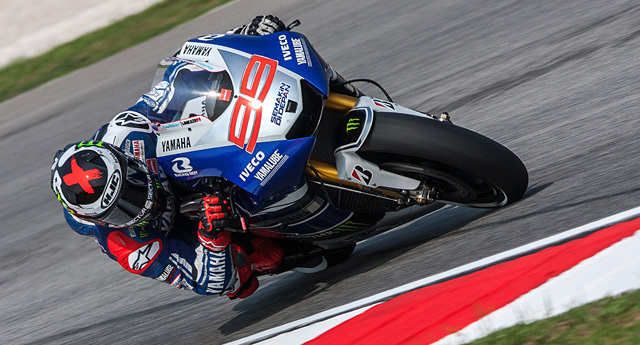 Reigning World Champion, Jorge Lorenzo. The championship contenders will be accompanied on Row 2 by Alvaro Bautista; incidentally, the GO&FUN Honda Gresini rider will rise to sixth in the riders’ standings if he finishes fifth or higher in the race. LCR Honda MotoGP’s Stefan Bradl was put out of action after suffering a right ankle fracture through a crash in final practice. 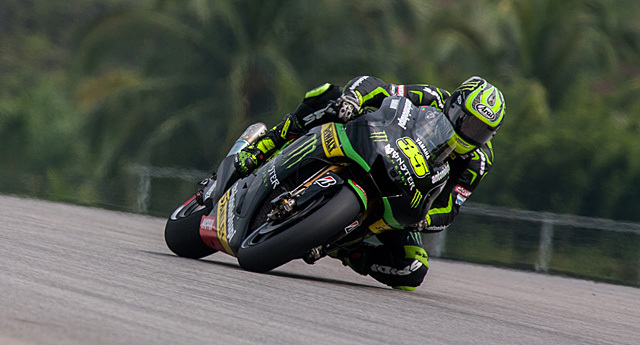 Row 3 will consist of Tech3’s Bradley Smith, equaling his second best MotoGP qualifying position of seventh from the aforementioned Dovizioso and lead CRT runner Aleix Espargaro (Power Electronics Aspar), who passed through to the final shootout from Q1. Andrea Iannone rounds out the top ten for Energy T.I. Pramac Racing from Ducati Team’s Nicky Hayden, whereas the absent Bradl was classified 12th but is now set to undergo surgery. This promotes NGM Mobile Forward Racing’s Colin Edwards to a fourth row position, with the grid completed by Damian Cudlin who contrary to initial plans races again with PBM this weekend. Leading CRT runner, Aleix Aspargaro will start from ninth position on the grid. Heading into Sunday’s race, and with rain expected by many, Marquez heads Lorenzo in the standings by 39 points. Pedrosa is third overall and 59 points off the lead, meaning he will be mathematically ruled out of title contention if Marquez wins and Pedrosa fails to score points in Sunday’s 15th round of the campaign.